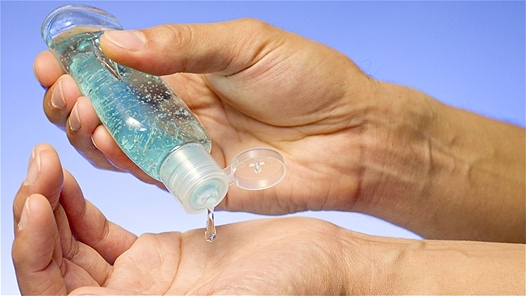 Whenever I use some hand sanitizer I notice the label boasts that it kills 99.9 percent of germs. While the label is meant to be assuring of effectiveness, my thoughts are always drawn to that 0.01 percent germ. That must be a strong germ, a super bacteria that can outlive a nuclear holocaust of Purell. If so it would likely be the one to kill me––kill all of us for that matter. It only takes one apocalyptic germ to destroy us all. In Philippians 3 Paul identifies the true Christ followers as those who put zero confidence in the flesh (Phil. 3:3), not even 0.01 percent is allowed. If we put even that little confidence in the flesh, we are not operating in the Spirit at all. We Christians are facing two paths and the destinations of each could not be farther apart than heaven and hell. One path is the path of doing good (the flesh). The other is the path of grace (the Spirit). Our problem is that we think the way to our desired destination is to take the opposite path. You can’t. You can't get to Los Angeles by taking the road to New York. Unfortunately, we are far too easy on ourselves when it comes to the flesh. A do-it-yourself (DIY) spirituality cannot be thought of as neutral or tolerable. As Paul said, “The flesh sets its desire against the Spirit, and the Spirit against the flesh; for these are in opposition to one another” (Galatians 5:17). So when you are feeding the flesh you are rejecting the Spirit. Even if what you are doing looks and sounds good in the eyes of everyone around you, if it is not from the Spirit, it is against the Spirit. Paul laid out for us a contrast of the deeds of the flesh versus the fruit of the Spirit. Here we find indicators of authentic or counterfeit spirituality. Paul mentioned that the deeds of the flesh (DIY spirituality) “are evident.” I would add that the evidence is prolific and, unfortunately, way too acceptable in our spiritual climate today. We have been deluded to the point that we see these deeds as not only acceptable but even as good and godly endeavors. I believe this is a root cause for our lack of real fruit in this world and you really can't argue with the analysis. The outcomes are clear. You cannot get the fruit of the Spirit (Galatians 5:22–23) by practicing the deeds of the flesh (Galatians 5:19–21). The two paths are diametrically opposed. That is why we cannot be content with good works that are done in the flesh. 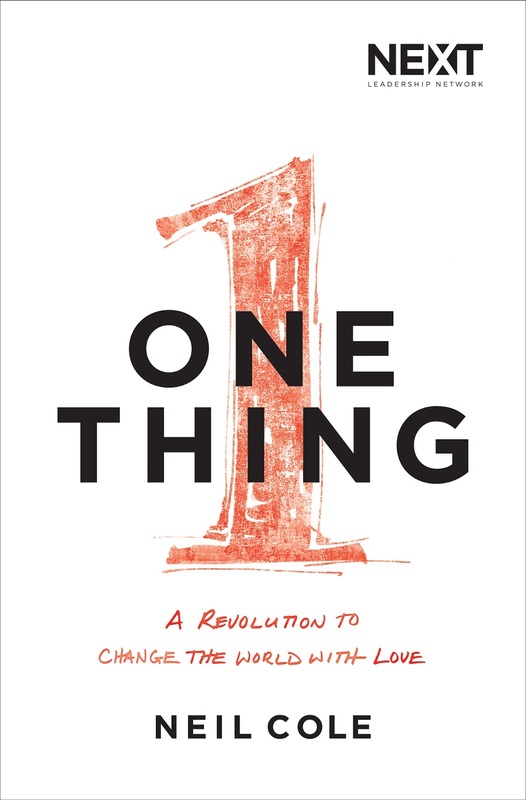 Frankly, this is why I wrote my new book, One Thing: A Revolution to Change the World with Love. We have become too accepting of a counterfeit spirituality that results in pride and delusional thinking. This must end if we have any hope of truly making a difference in this world. Some do-it-yourself spirituality mixed with some Jesus-soaked good news is not okay in any way. We cannot tolerate a false gospel and expect to produce the fruit of God’s Spirit. As long as we continue to walk down the wrong path, we are taking ourselves farther away from the true destination, no matter how right the view looks. Until we stop practicing the false gospel of do-it-yourself spirituality, we will never be on the right track—only further invested in the wrong direction. As Paul said, “I have been crucified with Christ and I no longer live, but Christ lives in me. The life I now live in the body, I live by faith in the Son of God, who loved me and gave himself for me." (Galatians 2:20, NIV) This is the new creation. This is how faith works through love. This is the true gospel spirituality that bears fruit. Everything else is a counterfeit. Everything else is poison. Living by do-it-yourself spirituality is no better than not doing so no matter how "good" you appear, in fact it is worse. All the effort we put into externally motivating righteous behavior is wasted and further leads us into the delusion of self-righteousness. You cannot add healthy, organic, free-range, hormone-free ingredients to cyanide and expect it to be good for you. Unfortunately that is often our approach to spirituality when we try to redeem self-righteous, do-it-yourself spirituality with the gospel and hope it will all work out better because of the addition. It doesn’t purify the impure; it just taints the good stuff with lies. An artist can use external pressure to carve a human figure from a slab of marble. While it may look lifelike, it is as dead as a stone. There will be no beating heart, no circulating blood, or lungs taking in oxygen. It’s just a rock shaped like a human. A true human body is formed from the inside out with the multiplication of living cells that contain the necessary DNA to code the development of life. You cannot create a human being by cutting away excess stone, and you cannot make a new creation with the old means that never worked in the first place. If it did work, as Paul said, then Christ died needlessly (Galatians 2:21). The result of do-it-yourself spirituality is no more true or life-giving than a marble statue is a human being. Can the gospel be enough? I am convinced it is the only thing that is enough. I will live or die for that belief. If we are not willing to bet our lives on the true gospel to change people within, and instead we hedge our bets with a little do-it-yourself spirituality mixed in for the sake of practicality, then we are selling our whole selves to a false gospel. We must choose between the whole gospel or no gospel—there is no in-between. I suggest our real problem is that we have put more faith in the law of the old covenant to change lives than in the powerful grace of the new covenant. This begs the questions: Why should anyone want our gospel if we don’t even want it? We have abandoned the true gospel for another. We are as foolish as the Galatians (Galatians 1:6-7). If you are a leader who is using anything other than the gospel to motivate people you are part of the problem. Guilt, shame, fear, financial security, peer pressure, the promise of prestige or prosperity, the association with success or the removal from things that remind us of failures…these are not the means to godliness––ever. We cannot produce spirituality with means that are less than spiritual. Only the true good news of Jesus can produce a new life within. The true gospel will never tolerate a false one. A false gospel will tolerate everything except the true gospel. I've respected your stuff for a long time, however this is the first blog I've commented on. Thanks for your writing and ministry. Man, this post makes me ache. I wonder, what good is the body then? What is the distance between Gnosticism and what you're laying out in this post? Perhaps Gnosticism is the very "do-it-yourself" spirituality that you're talking about? When I hear your metaphors about self-crucifixion, I think I know where you're going but I also see this incredible body-shame orientation that Christianity has been - sometimes rightly - accused of. What's the difference between sarx and soma in your mind? I struggled to see it in this post. What I see in Scripture is that we need a body to obey about 99% of what Jesus teaches. Same with Paul. Yes, the fruit of the Spirit comes with the Spirit, but it's exercised in our bodies. Loving our enemies requires spatial relationship - being close enough to have an enemy - which means we have a body. With so much Greek philosophy riding on our hermeneutics, it's really hard not to hear something that basically celebrates dualism (flesh bad, spirit good) but misses the interconnectedness of body and spirit, body and soul, etc. That isn't what you're saying, right? Just trying to make sure. Thanks for reading! Always love to hear Paul's thoughts to the Galatians "nailed" down. We were buried with Christ by baptism into death, so let's let Jesus live our new lives. Say, Neil, when I follow the Amazon link, why is it that the paperpack is cheaper than the Kindle Version? Never seen that before. David, I have n idea why that is. I've not seen it before either. Understand the usage of "flesh" as our attempt to produce righteousness by behavior modification utilizing methods, guilt, shame, and programs and not just faith working out of love because of the good news of Jesus. If you think that is equivalent to Gnosticism well then you have a problem with the NT. I've found that a do-it-yourself spirituality is so prevalent that many resist a gospel-only spirituality because so much is at stake if we abandon the old system. I would encourage you to not do so. I'm not saying you are, I do not even know you. I've been called antinomian before but I believe the law is perfect and pure...just not able to save or sanctify. We must use the law lawfully, and that is to awaken our hearts to the fact that we need Jesus and only Jesus. There is much use and good for the body of Christ, just not in making us good with external means. The church is not the instrument of transformation but the by product of it. The Bible doesn't say, "For God so loved the world that he sent his only begotten church." Jesus is our only hope and our only means of faith working itself out in love. Love will produce goodness, but trying to make people good doesn't work. Galatians is worth reading. I read it a min. of 5xs a week for several months. Try it. Thank God the blood of Jesus kills 100% of the sin we bring to it. And thank God that there is a never ending flow.